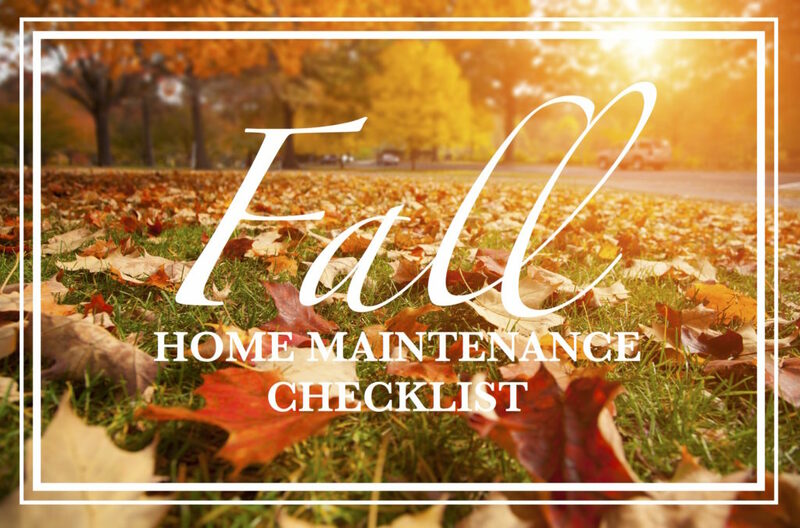 Fall is here and it’s the perfect time to get your house in shape for the cooler months ahead. Autumn can be a busy season for homeowners but, it’s also the best time to take advantage of the moderate weather to repair any damages before the first frost sets in. 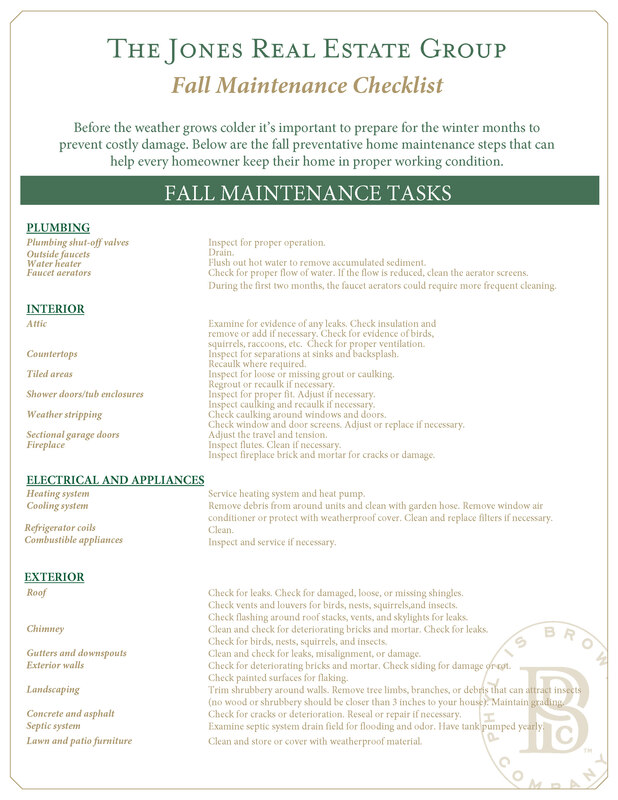 Here is the Jones Real Estate Group’s Fall Maintenance Checklist to help you make sure your home is running in peak condition all winter long! The Valero Open is quickly approaching and J-Jireh Ministries is looking for your support in two of their endeavors with this event. Saturday, April 14 at 9 a.m.
Lace up your sneakers for the 5K run/walk. Children 14 & younger can enjoy a 1 mile fun run/walk. It’s your chance to get a sneak peek at TPC San Antonio before the PGA TOUR competes in the Valero Texas Open while running the actual cart path. Families, serious runners, babies in strollers… everyone is welcome! The more, the merrier!! 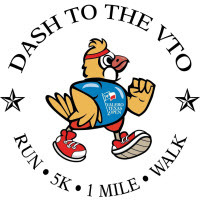 o Entry fee includes race shirt, chipped bib, and ticket to the Valero Texas Open! • Participants can select the charity/school they are wanting to support. Here is your chance to help us spread the word and possibly earn an additional donation. Based on participation – the charity that has the highest number of registrants that participate will earn a $3,000 donation. To Sign up for this event click HERE! 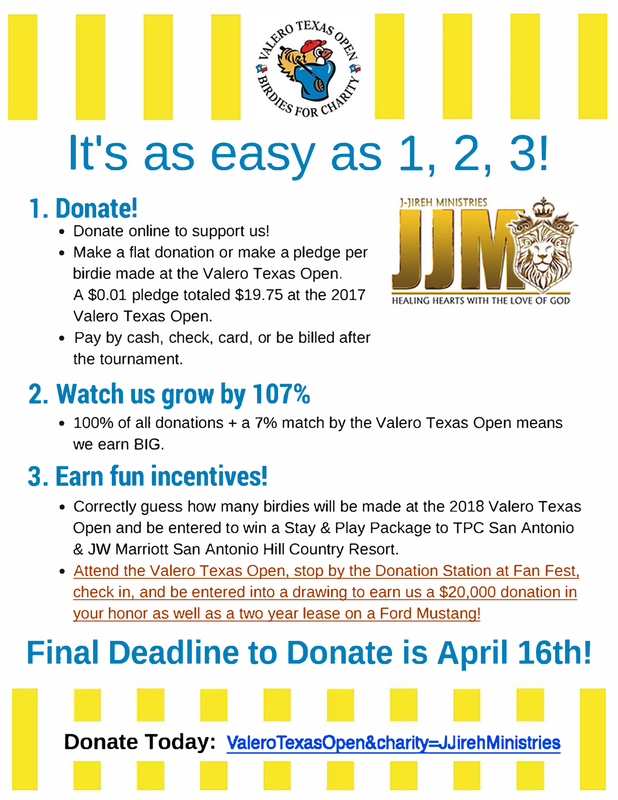 CLICK on the image below and you will be redirected to the Valero Open’s Birdies for Charity Website where you can make your donation to J-Jireh Ministries. Don’t miss your chance to WIN a 2 year lease on a Ford Mustang! Valentine’s Day is next week and The Jones Real Estate Group wants you to have the best Valentine’s Day this year. 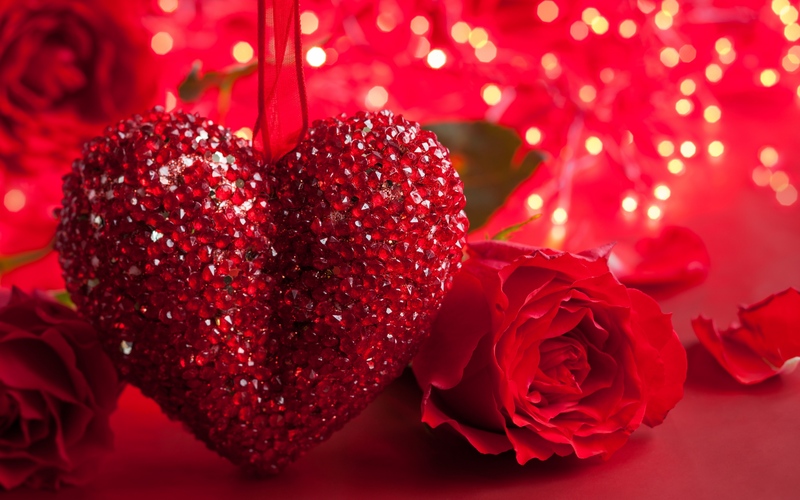 We have compiled a great Valentine’s Day Guide that includes some of San Antonio’s best local restaurants that know how to set the mood for that special day and a His & Her Gift Guide to help you find that perfect Valentine’s Gift for your loved one. David Elder at KSAT 12 has created an amazing video guide for his Top 10 favorite San Antonio dining establishments that fit the bill for a romantic Valentine’s Dinner. Two of his Top 10 happen to be some favorites of many of the agents here at the Jones Real Estate Group. We highly recommend both Chama Gaúcha Brazilian Steakhouse & Bohanan’s Prime Steaks and Seafood! Take a quick look at David’s video on his Top 10 Valentine’s Day Restaurants and plan ahead and make your dinner reservations TODAY at one of these awesome restaurants! Finding the perfect gift for that special lady in your life can be pretty challenging! Thankfully, Brostrick.com has put together a great gift guide that has a little something for every kind of woman that will be sure to make her feel loved on Valentine’s Day. Check out their guide: The 58 Best Valentine’s Day Gifts for Her in 2018 and order that gift today so it will be sure to be here on Valentine’s Day! Buying the right gift for that special man in you life can be equally hard. Country Living created a fantastic list Valentine’s Day Gifts for Him, that we are sure will help you find the perfect gift for your sweetheart this year! Take a look at their guide: 20 Best Valentine’s Day Gifts for Him and gift that perfect gift for that special guy! December is here and everyone is excitedly getting ready for Christmas. With all the hustle & bustle of Christmas it is easy to lose focus on what Christmas is all about. The Jones Real Estate Group would like to invite everyone to join us as we celebrate this Christmas by participating in the worldwide #LightTheWorld campaign from The Church of Jesus Christ of Latter-Day Saints. 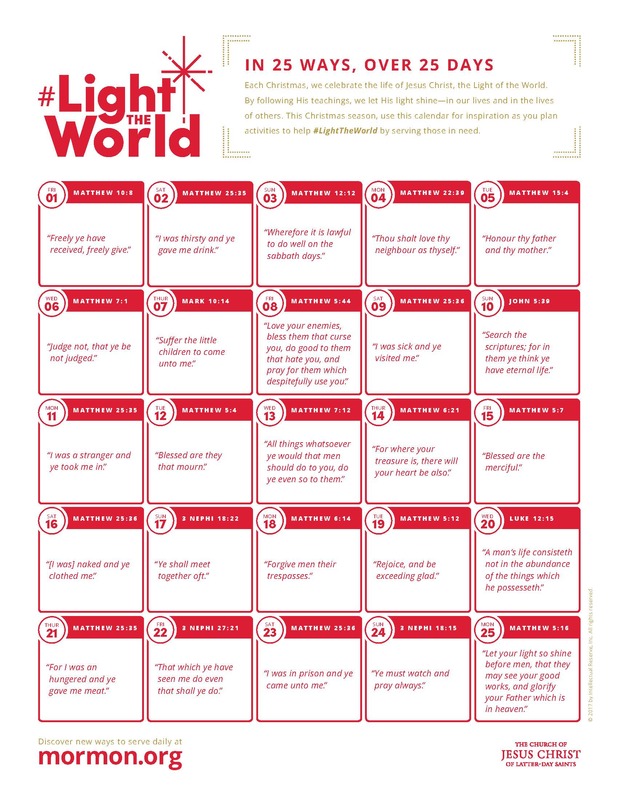 The #LightTheWorld Campaign runs from December 1 – December 25th. This campaign is a service campaign. Each day there is a new featured scripture and teaching from the Savior along with suggestions of service that you can do to follow the example of our Savior and brighten the world around us. The Small Seed has created an amazing FREE downloadable packet to help you track your progress as you apply these 25 teachings over the 25 days of Christmas and create a new Christ centered family tradition. As you spend the next 25 days centering your Christmas on Christ we would love to hear about your experiences and how this amazing campaign has blessed your lives! Please comment, share and help us spread the joy that comes as we serve others this Christmas season. Merry Christmas from The Jones Real Estate Group! 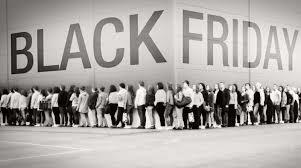 Black Friday Deals and Where You Can Find Them! Do love a good deal? Are you an online shopper or an in store shopper? Well, The Jones Real Estate Group has a great resource for your Black Friday Deals and where you can find them! BestBlackFriday.com has gathered an entire collection of Black Friday 2017 ads for you. You don’t have to search store to store to find the flyers you want. You can easily browse all the ads in one place. The ad scans are filled with discounted deals and sales that will lead to maximum savings!! With this resource you can online shop the best Black Friday deals or plan your time in store at different retailers to get all those things you are buying for Christmas with ease! Good luck and happy shopping this holiday season! The Jones Real Estate Group is incredibly appreciative of all the amazing blessings of freedom we enjoy as result of the brave men and women who have served selflessly in defense of our country. 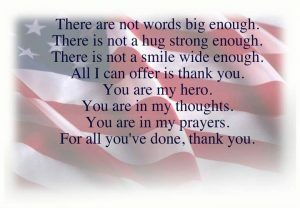 We are thankful for Veterans Day and the time we have to show our appreciation those servicemen. Join Us In Saying Thanks! 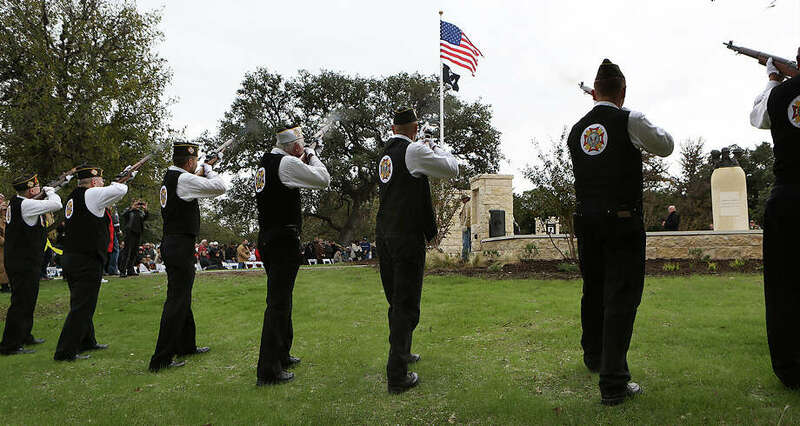 This year we would like to invite each of you to join us at Veterans Plaza in Boerne on Saturday, Novmeber 11, 2017 at 11AM to participate in the Boerne City Veteran’s Day Progam and shake hands and say thank you to those amazing Veterans that live in our Hill Country Community. 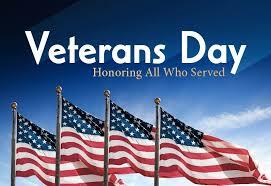 All the members of the Jones Real Estate Group are committed to giving back to our Veterans in any way that we can. One of the best ways we can do that is with the U.S. Military On The Move Program. Joslyn Burrows is a certified specialist for this program! 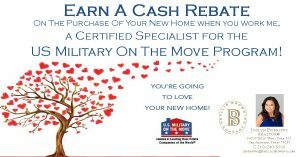 This is a free real estate rebate and information program that allows all active duty, retired military and wounded warriors to earn cash back when you buy or sell a home. For more information about this great program, give Joslyn a call at (210) 210-240-8166. 🍁 The weather might be cooler, but that doesn’t mean the fun has to stop! One of the best things about living in San Antonio is the variety of activities available in every season! Looking for something fun to do this month? 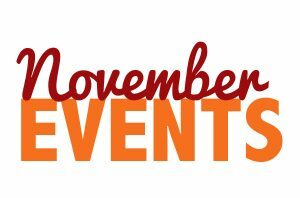 Check out these community events happening this month! During this 10-day salute to sausage, you’ll find a variety of entertainment options including a polka contest, games, rides, food and drinks on the Wurstfest Grounds in Landa Park. Diwali is a festive tradition of India that symbolizes the victory of good over evil. Experience this colorful event filled with Indian music, dance, food and more. Luminaria is San Antonio’s annual celebration of art and artists. Overseen by San Antonio’s creative leaders, it is free of charge and showcases all art forms in an outdoor setting and inside various venues downtown. It’s the most wonderful time of the year as Six Flags Fiesta Texas is transformed into a winter wonderland with thrilling rides, tasty treats and exciting family entertainment for the holiday season. Open select days, check website. A million twinkling lights illuminate the night sky at the University of the Incarnate Word to celebrate the holiday season in style. This free walking or driving experience is truly a San Antonio-style holiday event. Enjoy stunning live shows in this wintery, watery wonderland. Immerse your family in the spirit of the season, sip hot cocoa as you stroll through a sea of sparkling lights and share laughs with a jolly Santa. Open select days, check website. The day after Thanksgiving, our river parade kicks off the holidays as 28 decorated floats wind through the river in one of the country’s only nighttime river parades. Enjoy the beauty of thousands of lights illuminating the River Walk trees and bridges throughout the holiday season. Experience the best of mariachi music during the holiday season with the world renowned Mariachi Vargas de Tecalitlán. Christmas is just around the corner and many people are already thinking of different ways they can help others this Christmas season. The Jones Real Estate Group would like to invite each of you to give with us this Christmas Season with the Christmas From The Heart Program. As many of you may be aware, Greg & Ann Jones have been involved with J-Jireh Ministries & the Christmas From The Heart Program for the last six years. 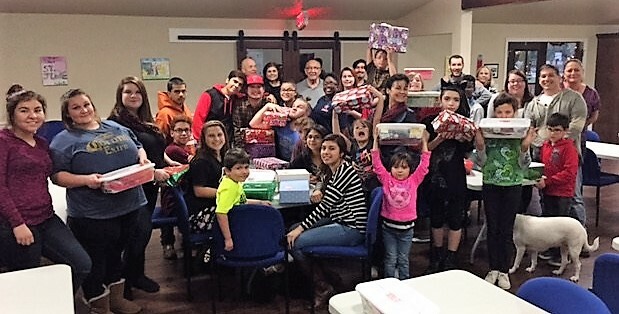 This program works to gather, wrap, fill, and deliver shoeboxes filled with Christmas gifts to abused, battered and neglected children living in shelters in and around Bexar County. These children are products of broken homes in every fashion you can imagine. Christmas From The Heart’s goal is to give them hope and point them towards a more productive life. Last year the Christmas From The Heart Program delivered nearly three thousand shoebox gifts to children in 39 shelters all across our area. This year our goal is 4000 shoebox gifts and 50 shelters or organizations. This year J-Jireh and Christmas From the Heart has been contacted by several additional organizations to supply hundreds of more Christmas Gifts for children in need! The challenge has grown and we need your help this year! 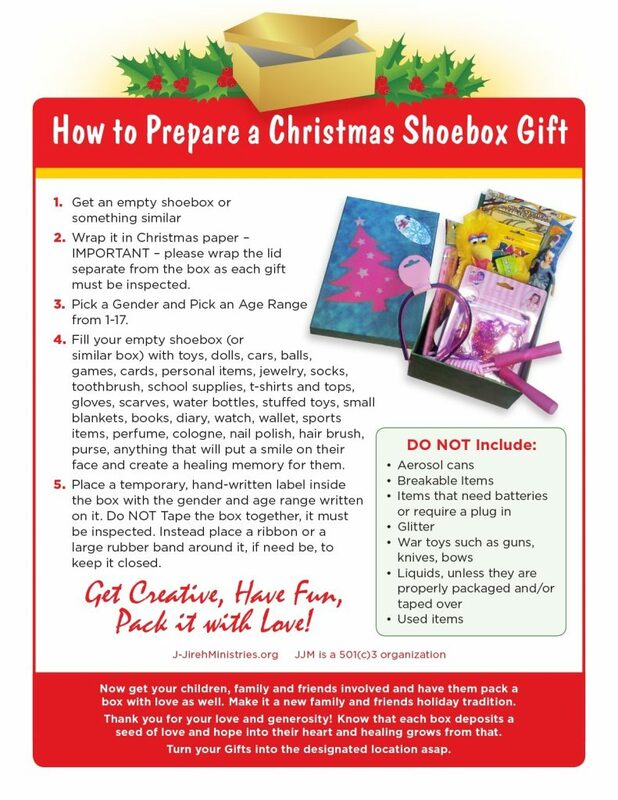 Below is information on How to Fill a Shoebox and the Christmas Shoebox Label to insert for the shoeboxes. There are lots of simple and easy things that can fill a shoebox for example: shampoos or small hygiene items, small gifts- like silly putty, play dough, inexpensive jewelry, caps, T- shirts, headbands, scarves, etc. 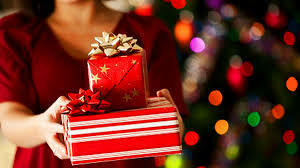 It is not how much you spend on the items in the box, but your thoughts in filling the shoebox for the individual child. 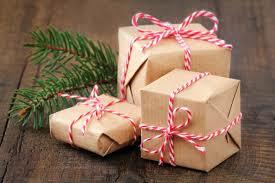 Another way to help is by donating empty shoeboxes that can be used to wrap gifts in. A great (and easier) alternative to empty shoeboxes that can be used instead of the shoeboxes is plastic shoeboxes with lids that can be lined with red or green tissue paper. 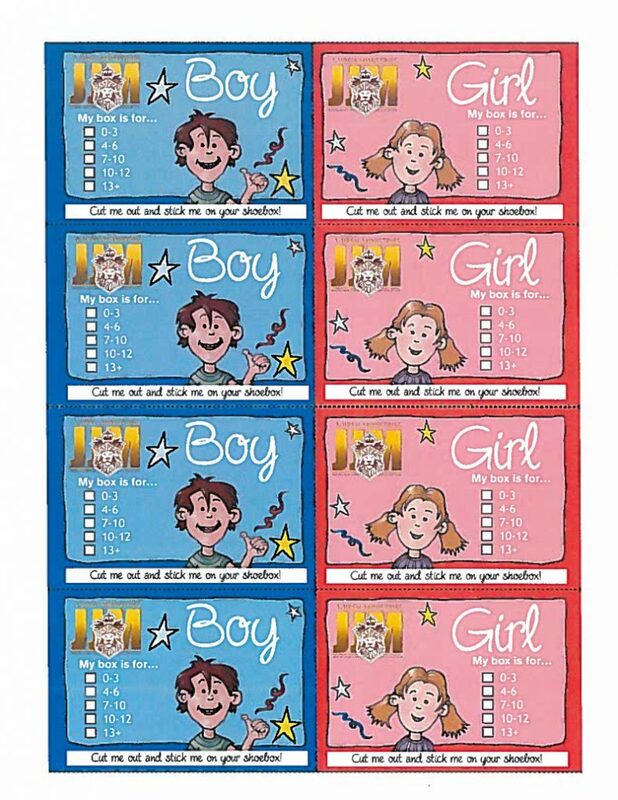 These boxes can be bought at The Dollar Store or…. $1.00! You can also DONATE monitarily to J-Jireh Ministries and The Christmas From The Heart Program. 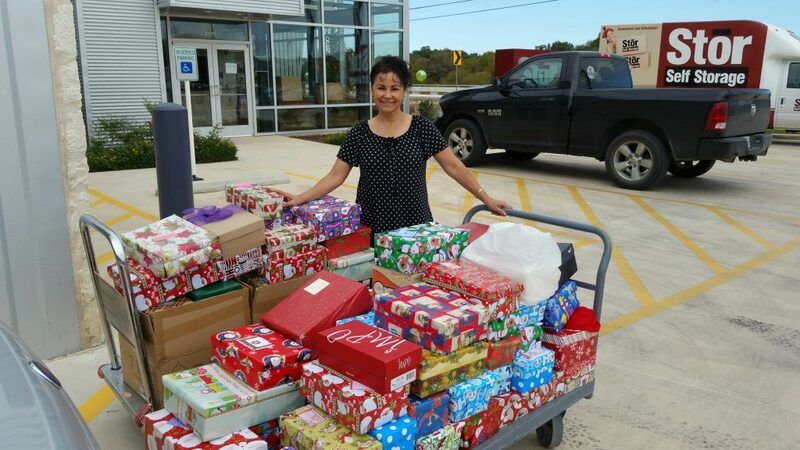 Filled Shoeboxes, empty shoeboxes or gifts for the shoeboxes can be dropped off at ANY Phyllis Browning Company Office. Thank you in advance for your willingness to help these children. Participating in this program has truly been eye opening. You see first hand how incredibly blessed we are and how a generous Christmas donation can make someone’s Christmas. For more information about J-Jireh Ministries and this amazing Christmas program please visit: www.j-jirehministries.org. It’s Fall in San Antonio Y’all! October is here and that means it’s Fall in San Antonio Y’all! There is lots of activities to see and do this month in and around San Antonio. Let The Jones Real Estate Group and our friends at Reaching Neighbors and Independence Title help you experience all the fun things going on this month. We have two great guides to help you plan your activities this month. 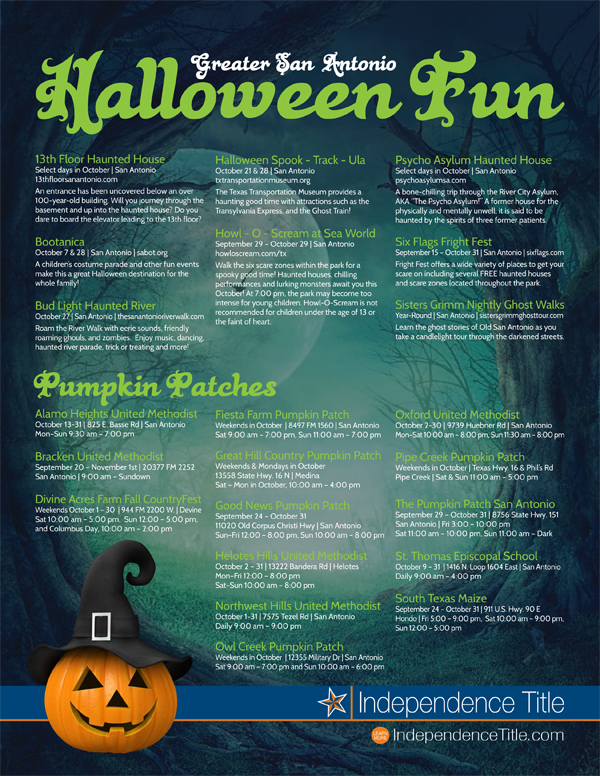 Take a look at these great events and get out and enjoy your October! 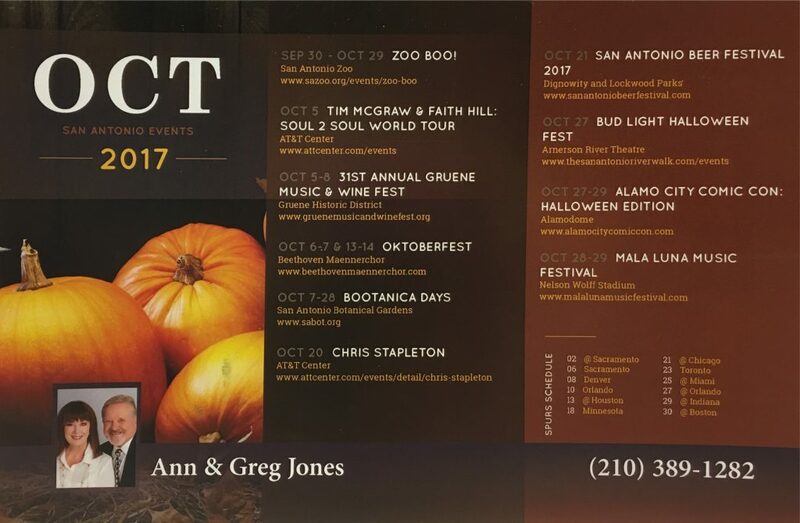 Ann Jones | Category: Uncategorized | Tagged Ann and Greg Jones, Concerts, Fall in San Antonio, October Events, Pumpkin Patches, San Antonio Events.